It’s almost time for Art Walk West, y’all! 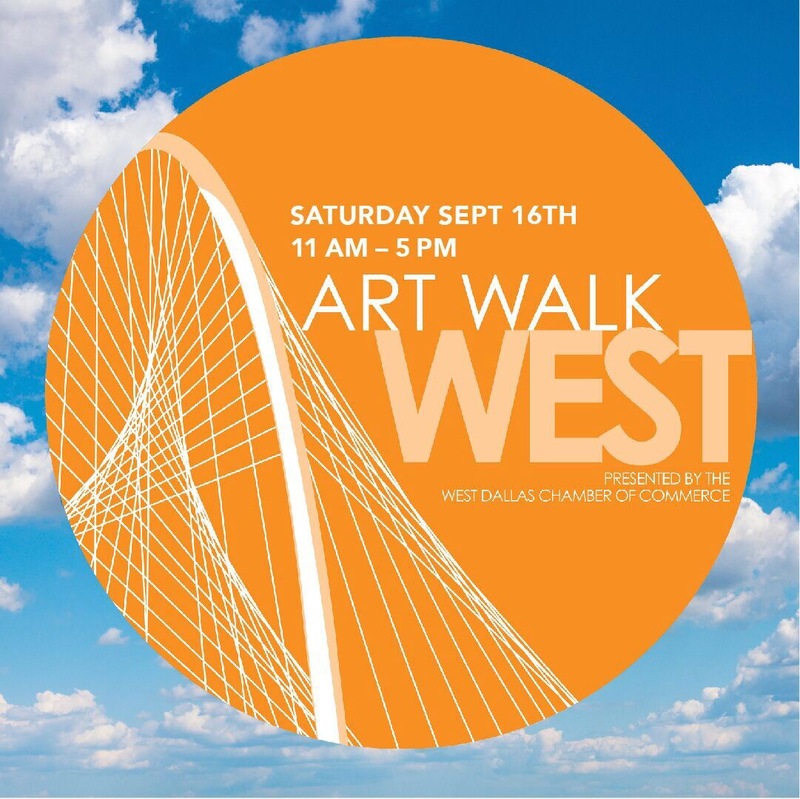 The West Dallas Chamber of Commerce is hosting the fourth annual edition of this fun and FREE event on Saturday September 16th. Participating artists, studios, galleries and creative businesses will have their doors open for visitors from 11am – 5pm and the Art Walk will end with a reception for visitors and participants from 5:00 – 7:00 pm at the art studio of Julia Ousley!